Chattanooga we are bringing Mardi Gras to you this Friday! DJ Dutty Laundry is taking us to the Caribbean Carnival and bringing us music to dance to all night long! Calling all Singles! 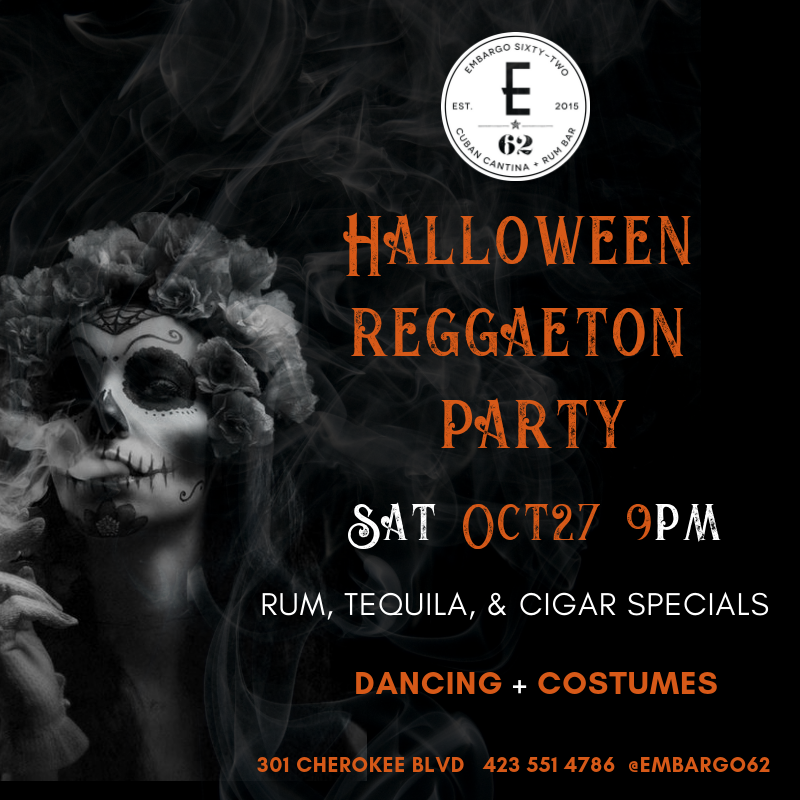 Embargo ‘62 has teamed up with Nicole Brown & Kinnawa (The African Thunder) to bring you a night of food, drinks, and fun! Free appetizers (while they last), 25+, No Cover, & Loads of Fun! We are kicking off our latest and greatest weekly party yet, Freaky Friday! If you want to have a good time, this is where the party is at! This week DJ Dutty Laundry will be on the turntables keeping the energy going! Let’s Salsa! Join us every Wednesday as Carlos Colon leads FREE Salsa Classes and Live Music. Plus enjoy $5 Mojitos while dancing to the hottest Salsa music in town! In Latin Culture we celebrate Christmas Eve with a Party. Join us as we bring in Christmas with Lechon Plate Specials, Beer Specials, and Dancing to Salsa, Rumba, and Boogaloo by DJ Flux 308.